Assuming you used financing to purchase the property, you’ll have allocated a portion of the loan or secured an additional loan to cover the costs of fix and flip repairs. That sum should be based on the pre-purchase home inspection, as well as a contractor’s assessment of the work that needs to be done and the costs of labor and materials involved. If you use this assessment as a benchmark for each part of the rehab project, you’ll avoid going over budget. Subcontractors’ rates can be as much as 10 percent lower than contractors’ rates. 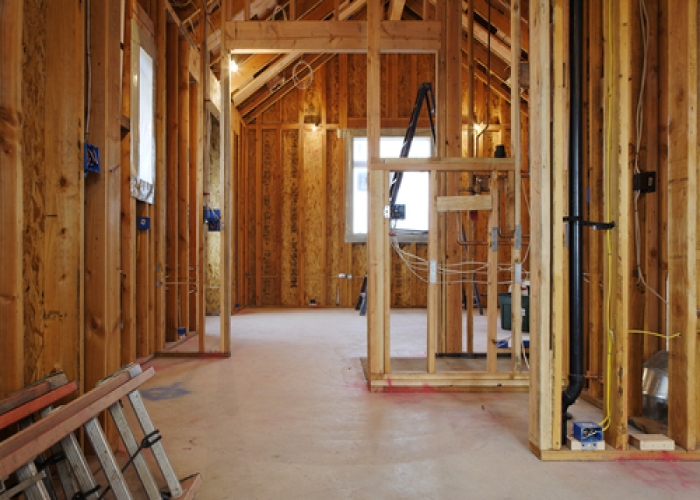 Make sure to hire subcontractors who are licensed, insured, and come well recommended. In addition, draw up an agreement in writing that clearly delineates each party’s rights and responsibilities. Always handle the ordering, purchasing, and picking up of materials yourself. If you let your subcontractors do this, it can cost thousands in extra time, plus, they’re unlikely to do the footwork to keep costs as low as possible. Look for special offers, loyalty savings, and member or seasonal discounts at regular hardware stores. You can also get volume discounts if you buy at large scale suppliers. One way to pay much less for high-end materials is to shop at outlets for anything from paint to carpet to appliances. Since they mainly sell remnants, you can get significant discounts on anything from hardwood flooring to stainless steel appliances. Finally, don’t forget to visit architectural salvage yards to find unique items that add a touch of character to a home, such as ornate fireplaces, stained glass windows, and antique doors. Not everything that’s broken, scratched, or dated needs to be replaced. Refurbishing can be a cost-effective alternative with often surprisingly good results. Think of painting dated kitchen cabinets and replacing the handles; re-using wood from old doors for wide window seats or yard furniture; and having the enamel on sinks, toilets, bathtubs, and showers refinished. The costs of labor are high, so fix and flip repairs you can do yourself saves money. Moreover, when you’re at the property, the contractors can come to you directly if they run into problems, which can help prevent delays. If you keep these eight tips in mind, you can greatly increase your chances of not only staying within your budget, but even finishing below it—and that in turn will increase your profit when you sell the property. And with all the money you’ll save and earn, you can start looking for your next fix and flip opportunity. If you need up to 100% financing on rehab costs, apply for a Fix and Flip loan with LendingOne and learn more about how we can help with the financing you’ll need.